Sitting in garden is always delightful, comfortable furniture can really double up your fun and you can relax more there! Higher furniture rates and prices not always come in handy for most of us so is there any alternative to access the luxury furniture on cheaper rates. 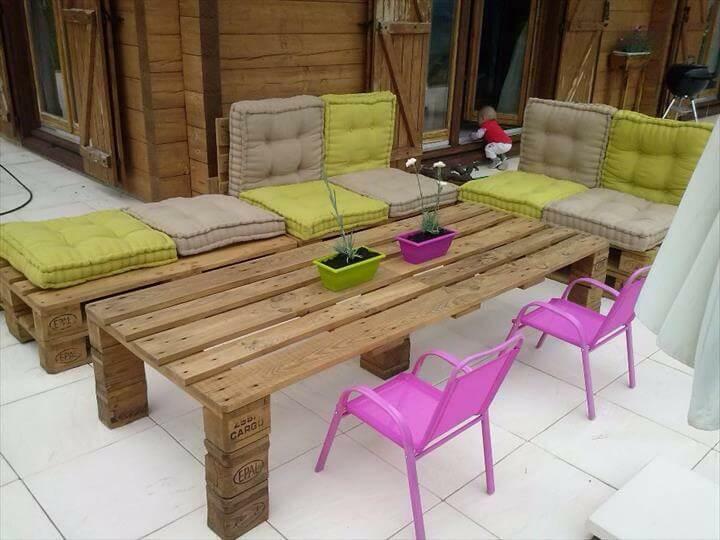 Yes, pallets are great alternative to bypass the classy styles of furniture in wooden medium on a budget. 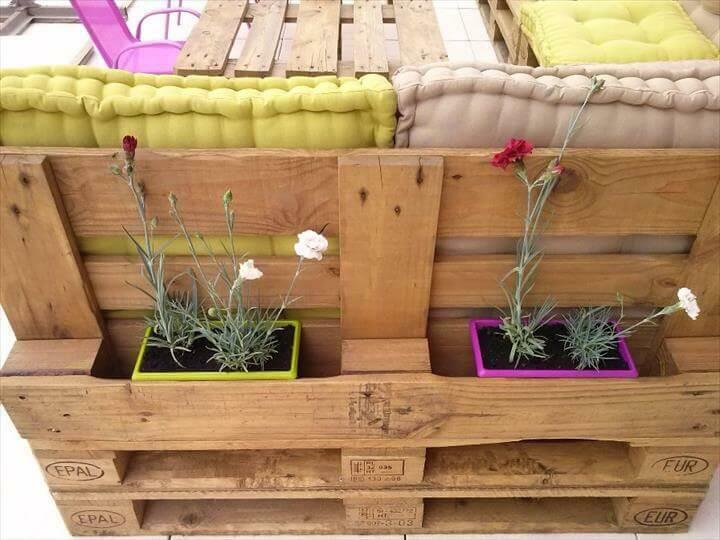 This DIY pallet garden furniture set is just a beautiful example to consider about the recycling of pallets or those of rectangular wooden shipping skids! Design of sofa is super functional and has been raised in L-shape! Junction of both longer and smaller seating sections also gives a cozy platform to setup your decors and items of interest and even the food and beverage, you can simply say that this pallet sofa has so creatively been constructed that you don’t need any side table for it! To entertain you seated persons and individuals, a grand DIY pallet coffee table has also been made part of the construction! 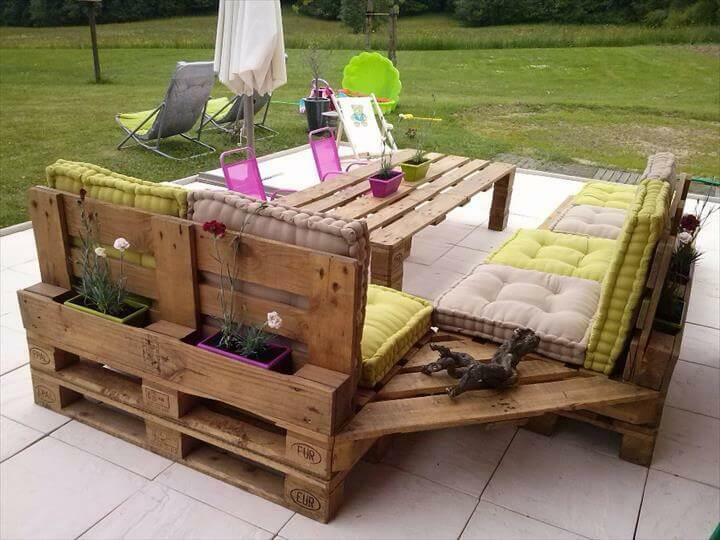 Do grab this awesome furniture set by spending a little bit of your time with pallets in order to make your patio and garden more comfortable places for summer afternoons! 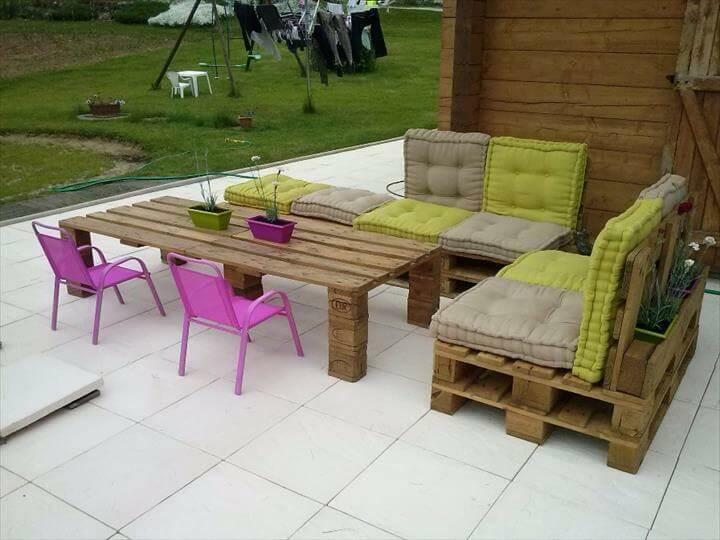 DIY Pallet Patio Furniture - Pallet Deck!